Charlotte’s luck of catching injury-riddled teams finally ran out. Week 3 saw an elite Grizzlies squad, two probable Playoff teams (Milwaukee/Atlanta) and a desperate one (Toronto) trying to turn their season around – all at full strength. The good news is that Coach Dunlap was able to keep his team playing hard even when things went bad. The Memphis game (84-97) never reached blowout status despite the Grizz’s massive talent advantage and the Cats had multiple chances to get back in it. Wins against the Bucks (102-98) and the Raps (98-97) came despite Charlotte being down late in the fourth quarter. Even last night’s home loss to the Hawks was (91-101) winnable late – until a rash of mental errors finally caught up to them. We hated him. Then he started posting up and driving and we liked him. Then he went back to hoisting threes and fadeaways and we hated him again. Grantland’s Zach Lowe wrote a great feature on NBA Gunners earlier in the week which breaks down the importance of the high-volume/low efficiency scorer brilliantly (yes, BJ makes the list). See, the reason Mullens keeps chucking up shots is because, well, there’s really no one else on the team who can. The Cats desperately need a centerpiece to run their halfcourt offense through and “oh lord, it’s Byron” is the only man on the roster currently up for the job. Unfortunately, until the front office can find a suitable replacement, Mullens will continue to shoot like there’s no tomorrow. His three looks like its starting to fall regularly (5-8 over the last two games) and his on-ball defense is a thing of absolute beauty. Taylor hounded Demar Derozan all Wednesday night – so much that Demar “got up in his face” for a double-technical psueda-spat. I’d be frustrated too, Taylor hasn’t even learned to keep his hands up regularly yet still wreaks havoc against his covers. Offensively, he’s slowly but surely figuring it out. His release is still extremely slow (Mike Dunleavy, Jr. of all people swatted one of his jumpers); this makes him hesitant around the rim and on fast breaks where he hasn’t yet developed a feel for NBA-level shotblockers. Ultimately, I think he’ll figure this part out and when he does, the Bobcats are going to have a major question on their hands: There’s only 96 wing position minutes to go around per night. Taylor and MKG should play 65-70 of those. Gerald Henderson and Ben Gordon won’t be happy dividing up the rest and that’s before some of those SG minutes get eaten up by a Kemba/Sessions dual PG lineup. With Henderson in line for a big contract extension come July, don’t be surprised if Taylor’s excellent play translates into a Henderson trade between now and February’s deadline. 1. If Lottery Picks equaled winning, the Sacramento Kings would have more banners than any organization in sports. Even better, the Bobcats themselves have had more lottery picks than nearly everyone else over the past decade. What did that buy them? A seven win season. Compare the number of Charlotte lottery picks over that time to San Antonio’s (10-1) or the Lakers (10-0). Just because one contending team in the past 25 years have built themselves entirely through the Lottery (OKC) doesn’t mean that’s the only way to do it. 2. “But free agents are overpaid and expensive!! !” Well, I have great news for you ladies & gents, there are other ways to acquire talent in the NBA! Also, not all free agents are overpaid. OJ Mayo is making $4 million this season and is in the top 5 in League Scoring. Carl Landry has been Golden State’s most consistent offensive threat on an identical contract. Our own Ramon Sessions has become the stabilizing force behind the team’s 6 victories yet is paid just $5 million over two seasons. Brook Lopez signed a max contract with the Nets over the summer but has been playing lights out and very well may be the best offensive center in all of basketball. Also, ask Memphis fans how they acquired Zach Randolph. Or Marc Gasol. Or Mareese Speights. All via well calculated trades. And need I even mention all of the mid to late round draft picks who are/have been dominating the league: Ginobli, Parker, Ibaka, Kobe, Steve Nash, Al Jefferson, Josh Smith, Varejao, Ellis, Ty Lawson, et all. Then there’s Euro talent like Pekovic, AK47 and Shved that can be found every year. Fact is, there is MORE talent outside the lottery than in it – it’s just a little harder to find. 3. Finally, keep in mind that Charlotte still has high draft picks from Portland and Detroit owed to them. The Detroit pick in particular will likely be a top 10. Packaging one of these with their own to move up in the lottery is always a possiblity if worthy talent is there. In the meantime, the Bobcats need to build a culture of winning – with Kemba, MKG and Sessions, they may as well do it now, winning a Top 5 pick in a weak 2013 Draft isn’t much of a consolation. “You can only play who’s in front of you.” -our friend Michael Raciappa quoting some random college football coach. In last Friday’s 107-99 loss at New Orleans, the Bobcats couldn’t capitalize on Eric Gordon’s mystery knee injury despite Ben Gordon’s 34 off the pine. The following night’s 101-97 OT victory versus the Mavs (first in franchise history) was due in large part to the absence of Dirk Nowitzki and Shawn Marion. Tuesday’s 92-76 drubbing of the Wizards was certainly affected by Washington’s lack of John Wall and Nene Hilario. Finally, in what should be the easiest road test of the season, Charlotte escaped Minnesota with a 89-87 victory despite playing a Wolves team minus five of their top seven players. Of course, this is by no means meant to diminish Dunlap & Company’s accomplishments. Luck or no luck, you still have to execute and the Bobcats did so better than any Charlotte basketball team has in years. #1 Byron Mullens MIGHT BE turning the corner. We witnessed some great things from Mully over the past two games. He stayed (mostly) inside, showing off a sweet turn-around on the block. He drove. He rebounded (including 15 against Minny). He blocked shots. He proactively rotated. Did I mention he stayed inside? Big IF but if Mullens can continue this type of game going forward, we are all going to be very happy‚ most of all Byron himself, who’ll certainly enter into the world’s richest 1% come July. Longtime readers will know that I’ve been leading the Cho-parade from Day 1. And it’s not just the Asian-American pride. Cho represents the changing tides of pro-sports teams previously run by the “gut” (call it the Larry Brown method) into modern organizations run like successful companies. If Cho makes a move, rest assured it is always quantified in various terms of risk and reward. No move illustrates this more so than the amnesty claim for Brendan Haywood. Viewed as just another salary cap mistake in a long-line of overpaid Maverick big men, the Cats snagged Haywood for an amnesty bid of just over $2 million per season over three years. Think about it, Charlotte is getting 26-28 minutes a night of two-way, LEGIT NBA center production for $500k LESS THAN they pay Reggie Williams. Sure, he’ll be 36 when the deal expires but so what? A self-professed hoops junkie, Haywood at the worst will act as another coach by year three, at near veteran’s minimum rate. 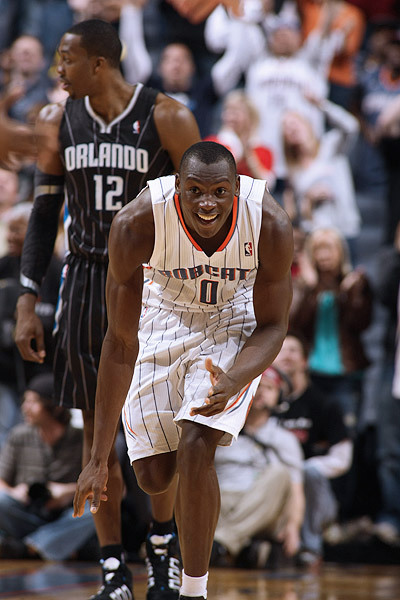 Forget Linsanity, Cho-sanity all day everyday. With Gerald Henderson still out with a foot injury and Ben Gordon dealing with personal matters, the Bobcats’ offense devolved into transition buckets and shotclock bailouts for most of the last two games. Gordon should be back Saturday night versus Memphis but Charlotte will need to find more staple plays for easy buckets. Recently acquired Hakim Warrick may help – his one true skill, diving on pick and rolls, is something the Bobcats haven’t had on the roster – but I wouldn’t get too excited about another team’s 12th man revitalizing the offense. Ultimately, the Bobcats will need another weapon, either a post-up 4 or 5 or a dynamic SG, who can generate offense when the game slows down. The first week of the ’12-’13 Bobcats season wraps up with the team going 1-2. After putting an end to their infamous 23 game losing streak in the opener against Indy, the team was blown out in Dallas, then dropped a winnable game at home against the Suns on Wednesday night. #1 Byron Mullens makes me want to throw things. Simply can’t think of a more infuriating player to watch. His defense has improved from “non-existent” to “below average” and at times he actually makes plays on that end. But the sleepy time rotations are killing the team inside and a big reason the Cats are allowing a league worst 110 ppg. As for Mully’s vaunted jumper? Before Wednesday’s 6-10 three pointer explosion, BJ was just 2 of 14 from the beyond the arc. Yes he’s attempted 24 threes in three games. I get that Dunlap needs Mullens to space the floor for Kemba and Sessions to drive but he’s gonna need better, more consistent shot selection. #2 MKG is the real deal. The box score is impressive but the performance is even more so: Kidd-Gilchrist is a defensive marvel. I can’t remember seeing a young player stay grounded the way he does on shot fakes yet still come up with a couple of blocks every game (2.0 bpg). You just can’t teach instincts like that. His lateral movement and the way he orients his hips to stay in front of his assignment is just phenomenol. Though MKG’s only 19, few SFs can match his rebounding (6.6 rpg in just 26 minutes) and don’t even get me started on his knack for deflections (1.7 spg) – in two seasons we could be looking at a team with the league’s top shot blocker (Biyombo) and top steals artist. His offense has been as raw as advertised but he did nail a 17 footer in Dallas that didn’t look half bad and attempted another versus the Suns that looked good before it rimmed out. I’m not worried about that aspect of his game, it will come eventually. Best news of the young season by far is that MKG is a stud. Charlotte’s point men are leading the team in PER (18.98 for Walker, 20.22 for Sessions) and aside from Mullens, are basically the entire Cats offense. Kemba exploded for 30 points in the opener but has since come back to earth. His size limits what he can do at the rim and the Cats just don’t have enough shooters to punish opponents for clogging the lane. Sessions is currently the more skilled of the two and has been killing it with his push up the floor and rolls to the hoop. #4 Henderson Out 2-4 Weeks. This hurt. GH2 is right behind MKG as the team’s top defender and was able to slide in as a better shooting backup three when the team went small. He was the team’s best wing player getting to the rim and the only thing close to a shot clock bail-out option in the starting 5. In the interim, Coach Dunlap will have to find production from either Reggie Williams (better shooter, huge defensive downgrade) or rookie Jeffrey Taylor – who has logged 16 NBA minutes but has yet to generate one positive stat. #5 Brendan Haywood was a great pickup. At $2 million per, I can’t imagine a better value signing for a team so desperately in need of the things Haywood provides. His offense is much more advanced than I remembered – the baseline hopstep-and-one he pulled against Phoenix Wednesday night was Hakeem-esque. Haywood is the team’s best rebounder, best post defender and anchors the defense like an inside linebacker. 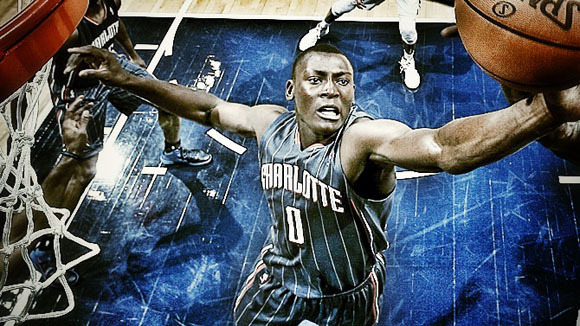 Excellent pickup for the present and the future as a mentor for Bismack Biyombo. POLL : Will Coach Dunlap Make It Through The Season? Editor’s Note: Instead of offering a run of the mill predictions column for this season, I thought I’d have a little fun by imagining what ESPN Insider John Hollinger might be writing about the Charlotte Bobcats next season. John Hollinger’s 2013-2014 Charlotte Bobcats Team Forecast. If the league handed out awards for “Most Improved Horrendous Team”, last season’s Bobcats would have swept the vote. Sure, Mike Dunlap’s squad again finished dead last in the league, managing only 21 wins, but boy did they ever improve. Charlotte walked away from their disastorous 7-win ’11-’12 campaign with a clear goal in mind: Develop their young talent while maintaining some semblance of respectability on the court. Dunlap was brought in to nurture the kitties whilst veterans Ramon Sessions, Brendan Haywood and Ben Gordon were added to provide the team with actual NBA players. The formula mostly worked, on several occasions presenting the Queen City with a sight it had nearly forgotten: competitive basketball. Thanks to GM Rich Cho’s methodical approach to rebuilding (the nonsense of the Larry Brown-era has officially ended), the organization may well be on their way to sustained relevancy. In some ways Dunlap inherited the best coaching job in the league – trumping a .106 winning percentage isn’t as easy as it sounds – but for the first six weeks of the season, he certainly gave it his best shot. The Bobcats were horrendous in November/December, barely improving upon their notorious -12 point differential from a year prior. Second Year PG Kemba Walker shot 34% from the field. Byron Mullens 40%. Leading scorer Gerald Henderson connected on just 42%. The good news was that number two overall pick Michael Kidd-Gilchrist made them all look good by somehow succeeding on only 29% of his attempts. Basically, for the first quarter of the season, Charlotte couldn’t find a basket with a GPS. Fortunately, the horror show was short lived and the Cats found their groove by New Year. On the player development front, Mullens in particular made a leap. His 17.8 PER led the team and all but guaranteed a big payday over the summer. Running the pick ‘n pop with either Walker or Sessions, Mullens transformed into a partially-employeed man’s Dirk Nowitzki, extending his range out beyond the stripe (35%) while benefiting defensively from Dunlap’s revelation to play him at the four. Walker rebounded from his poor shooting to eventually manage a respectable 45% and made strides with his court vision (8.2 apg per 40). The team’s other 2011 Lottery pick, Bismack Biyombo, seemed to regress early but by early March was back to blowing up YouTube servers. 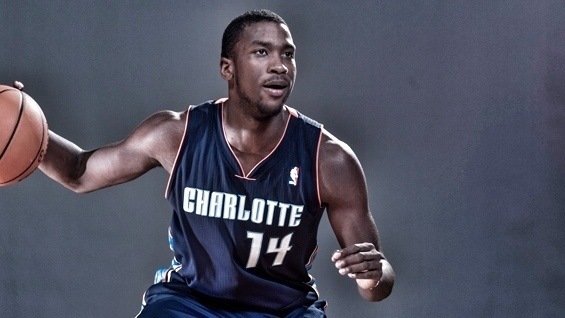 The big story, of course, was Kidd-Gilchrist. Playing at a position where most teams find their scoring, MKG couldn’t buy a bucket for a half a season. As the scouting report out of Kentucky confirmed, opponents laid off MKG, daring him to shoot. The strategy worked and Kidd-Gilchrist finished the season dead last amongst starters in long twos and three point percentages. Players who shoot this poorly almost never make it past Replacement Level PER but MKG finished the season at 16.2, an amazing number considering his broken shot. One need only to look to his per 40 minute numbers in rebounds (10.9), steals (2.5) and blocks (2.1) to get an idea of how he did it. Those pre-draft comps to Gerald Wallace weren’t far off, it’s just that Wallace produced numbers like these at 25. Kidd-Gilchrist did it 18. Synergy had him ranked near the top of the SF pile defensively, something the eye-test confirms (his lock-down defense against Lebron James in a mid-season matchup comes to mind). Combine this with an innate ability to get to the line (10th highest FT rate at his position) and MKG stayed in the conversation for Rookie of the Year until April. 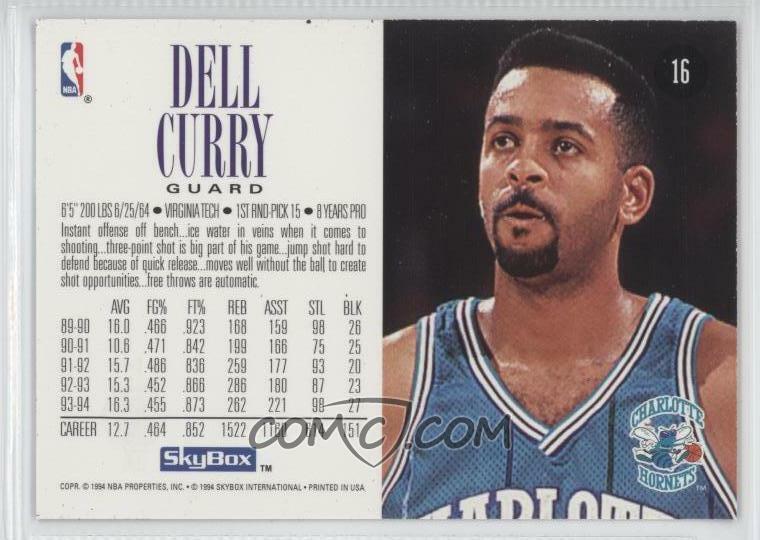 The price was one atrocious season and one simply bad one but GM Rich Cho finally regained control of Charlotte’s payroll – one that had been managed like a drunken sailor under former Staff Sergeant Larry Brown. With his team still a year or two away from courting a major free agent, Cho wisely auctioned his cap space for draft choices and prospects. Traded Haywood and to Oklahoma City for Kendrick Perkins and a draft pick: In a pre-draft trade echoing last year’s Gordon swap, Charlotte purchased another lottery pick (via Toronto, 12th overall) with surplus cap space. Taking on Perkins $18 million cap hit over the next two seasons is a terrible move for most teams but not so for the Bobcats, who aren’t a free agency destination and need to add dollars just to hit the salary floor. Perkins and Haywood put up near identical stats last season so Bobcats fans shouldn’t expect any upgrade due to the massive dollar difference. Still, Perkins remains an excellent post defender and will fit in nicely as mentor to yet another shot blocker from the Congo. Let Gerald Henderson go, drafted Shabazz Mohammed, Dario Saric: Henderson’s fate was sealed the moment Charlotte finished third in the Noel/Zeller sweepstakes. Offensively, Mohammed was college basketball’s highest rated wing player (16.9 in the Draft Rater) and projects quite nicely at the next level. At 6’6″, 225 he should have the size to start and score big right away. Defensively, the Bobcats will probably take a step back at the position for the moment – Synergy rated Henderson in the top third of SGs – but long term, the ‘Bazz projects to be a star at the two. With the pick from the Perkins deal, Charlotte nabbed Saric, who will play out the final year of his Euro deal before being introduced to Bojangles chicken and biscuits. His translated numbers are a mixed bag but he’s only 19 and is solid shooter who can really see the floor. Those Toni Kukoc comps seem about right. Let Gana Diop, Reggie Williams and Matt Caroll go: Diop, Williams and Carroll played a combined total of 673 minutes for the team last season yet accounted for a whopping $13.4 worth of payroll – here’s to you, Larry Brown. With the subsequent windfall, Cho made the final big move of the Cats offseason. Signed Byron Mullens for four years, $34 million: Of all the good moves Cho has made during his brief tenure with the Bobcats, this one has biggest chance to tarnish his rep. First the positives: Mullens is only 24, has near elite shooting skills for a seven footer and, at 275 pounds, has the size and skills to develop a consistent low post game over time. The problem is that defensively he remains headache – for his own team. Against post-up players, Mullens still hasn’t figured out how to prevent giving up deep position; elite post guys like Zach Randolph absolutely feast on him. Mullens fares better against stretch fours – he moves his feet well enough to challenge shots and stick with rolls to the basket. But if an opponent goes small ball at the four, Mullens is basically unplayable. That said, Byron did improve his rebounding numbers tremendously last season and perhaps Cho is banking on the continued mentoring of Dunlap and Perkins. Still, $34 million is Ryan Anderson money and as of the moment, Mullens just isn’t in the same class. Don’t look now but with potential stars Mohammed and MKG on the wings and solid prospects like Walker, Biyombo and Mullens backing them up, the Charlotte Bobcats have become a respectable basketball franchise with a very real possibility of becoming an elite one down the road. The Cats will have between 1-3 early first round picks in next years draft depending on how Detroit and Portland’s seasons shake out, and up to $22 million in cap space if they amnesty Tyrus Thomas. As for this season, my projections have them as a lottery team yet again but not by much. Shabazz will immediately help alleviate the team’s scoring woes and defensively, few teams can match the quality of a Kidd-Gilchrist/Biyombo/Perkins frontcourt. I have them at 32 wins, which, considering the team’s recent history, might well feel like a championship run. Rejoice, people of Charlotte, ten years after the fact, your city is on the verge of hosting a real, honest-to-goodness NBA team. Prediction: 32-50, tied for 3rd in Southeast, tied for 10th in Eastern Conference. While the Lakers, Thunder and Heat fortify championship contending rosters, while the Pacers and Clippers set their sights on Playoff success and while the Warriors and Bucks attempt the leap from Lottery to postseason, the Charlotte Bobcats will aspire to a comparatively modest set of goals for the upcoming season. Coming off an infamous seven win campaign, the team will not only strive to become more competitive but will look to further develop a long and grueling rebuilding project. Good news for the fans: The project is moving along nicely. Tyrus has replenished and re-nourished himself after last year’s celebutante crash diet, notching a couple impressive performances during the Preseason. A reinvigorated Tyrus would do wonders for the organization. The team owes him $26m over the next three seasons and with Andray Blatche having been amnestied by Washington, “T-Time” has become the league’s worst, most untradeable contract. The Cats would be forced to use their own amnesty clause on Tyrus if he continues to regress and one could only imagine Michael Jordan’s reaction to paying out $18 million on a player not even on the roster. WIN SCENARIO: Tyrus proves last year a fluke and returns to previous form, cementing his place in the starting lineup by averaging a double-double and upping his trade value in the process. Amnesty, amnestied. Next July may seem like an early Christmas for GM Rich Cho, who will be pleased to find an extra $13m or so in cap space under the tree. The pygmy albatross contracts of Gana Diop ($7.3m) and Matt Carroll ($3.5m) will finally come off the books as will now redundant shooter Reggie Williams ($2.6m). But all will not be so simple. Cho could find a potential lump of coal in his stocking in the form of the team’s two restricted free agents: Gerald Henderson and Byron Mullens. B.) a dynamic, long, rangy defensive stopper who can punish defenses in transition and nail the corner three (Thabo Sefalosha, Avery Bradley). Henderson doesn’t fit either of these molds. He’s closer to Wade than Thabo in stature but doesn’t have Dwyane’s scoring ability. And he’s not a three point threat (career high 47 attempts last season with only 11 hitting pay dirt). So either Henderson will need to add a deadly long range shot to his game or he is simply a decent starter on a bad team. Add Henderson’s cap hold ($4.3m) to Cho’s war chest and suddenly the Bobcats are in the market for an All-Star caliber shooting guard should the opportunity arise. If OKC stumbles in the Playoffs again, look for James Harden as a real possibility here. WIN SCENARIO: Henderson and Mullens either break out into potential All-Stars (unlikely) OR improve enough to be used as trade chips for an actual All-Star caliber player like James Harden (less likely) OR improve and re-sign with the team for reasonable money (most likely). Kemba Walker’s rookie campaign was a trick or treat sack of the tasty (surprisingly solid D, great handle) and the gross (dribbling by himself for 15 seconds of the shot clock, forced fadeaways) — Kyrie Irving he was not, but to blame this entirely on Kemba given the team’s severe lack of talent and coaching seems myopic. Coach Dunlap’s proposed fast-attack system is custom designed for Walker to exploit. No other Bobcat (and few others in the league) can get to their spot like Kemba; a reliable floater and smoothed out stroke could likely elevate Walker into Ty Lawson territory. However the season plays out, the Bobcats must determine if Kemba is their point guard for the long haul. WIN SCENARIO: Kemba improves his shot and court awareness; takes sole possession of the starting gig by midseason and never looks back. Biyombo lived up to his billing last season, putting the “smack” in Bismack while generally disrupting things on the floor for opposing offenses. The Congo teen sensation single handily made an all-time terrible team worth watching with his tenacity and enthusiasm on the defensive end. Never mind Biz couldn’t finish two feet from the basket or that he practically forced his co-workers to play 4 on 5 at their end. Those things could be looked over in a strike-shortened tank-fest (sans training camp) but Biyombo must further develop his game if the Bobcats expect to build something from this mess. WIN SCENARIO: Coach Dunlap has asked Biz to be more than a one dimensional shot-blocker and Biyombo has looked a bit lost in the expanded role. He’ll need to continue to work towards a consistent short range game and further taps into his limitless potential on D. Charlotte has few difference makers on the roster. Bismack could certainly be one.